Welcome to DESIGNER NETS, located in San Jose, California. We have 21 years of experience in the balloon industry and are a Wholesale Manufacturer and Distributor of different size balloon nets, balloon stands, balloon centerpieces and balloon decorations. These are perfect for Balloon Wedding Centerpieces. We are a Wholesale Balloon Nets and Balloon Stand Company. We do not publish our wholesale prices on our website, so we can maintain the strictest level of confidence between our Balloon Distributors, Balloon Decorators and Balloon Retailers. We take great pride in the manufacturing of our wholesale balloon nets and balloon products. We have many different balloon product designs for any and all events and occasions. 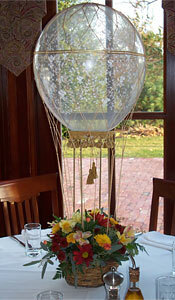 We also do a Balloon Wedding Table Center Pieces and Hot Air Balloon Center Pieces. Special orders are accepted. 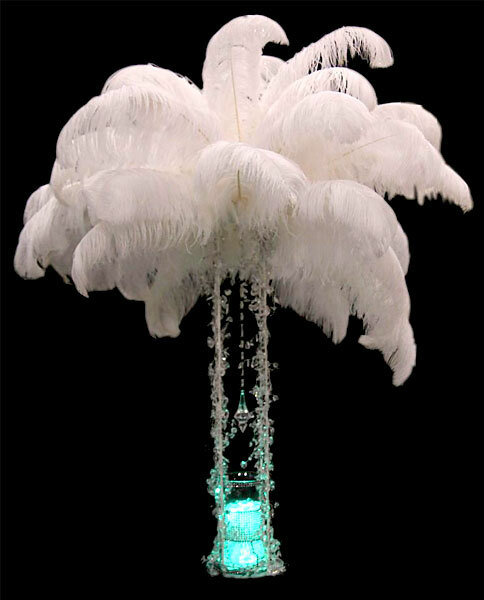 Our table centerpiece balloon designs are unique in all aspects of their creation, because the 16” balloon uses “NO Helium”, with our unique patented balloon stand design. Our balloons are Air Filled, No Helium Needed, and can be assembled in less than 15 minutes. Our balloon nets are sized to have a snug fit on each of the balloons. Balloons should never really be inflated to their actual size, so we take this into consideration when manufacturing our balloon nets. All balloon nets are made with an even number of strings. Presentation is everything when it comes to the sale of a Balloon Wedding Table Centerpiece and Hot Air Balloon Centerpiece. We look forward to keeping you 100% happy on any and all balloon projects for years to come. We at DESIGNER NETS would like to thank everyone for their interest and support. It is always appreciated and an honor to serve you and everyone around you. We believe you are only limited to your own imagination and should always keep your profit soaring by keeping your balloon business fresh and exciting. If you have any helpful tips, ideas or projects not mentioned here, please let us know so we can work together to solve the project that you and your customer may have.